Exporter of a wide range of products which include balsam peru oil, cold pressed oils, essential oils and jatamansi oil. Our top notch quality Balsam Peru oil is consistently favored in the cosmetic industry. It is developed from remarkable technology and is utilized for perfect fragrance in soaps and cosmetics. Plus, we use the best available quality materials for production of Balsam Peru essential oil and they are thoroughly tested on quality parameters. Plus, we always charge easy and effective rates. We have made it a habit of offering superior quality cold pressed oils that are very light and are capable of being easily absorbed by the human body. Our oils are developed from exquisite technology and are extracted through heat which leads to the oxidization of the oil. 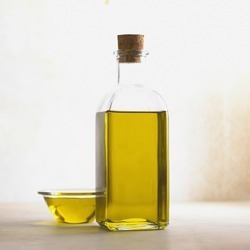 Moreover, these oils are highly preferred by customers’ and are extracted through cold extraction techniques to retain its best qualities. We are offering completely natural and organic essential oils that are free from alcohol and are offered in purest forms. Our highly adept professionals extract them with the help of perfect technology and from rare and organically grown herbs of Himalayan Mountains. Use of perfect steam distillation process makes them free from chemicals and alcohol. Moreover, we offer completely affordable and simple rates. We are offering premium range of Jatamansi Oil which is widely and randomly used in perfumes, cosmetics, massage oil, skin care products, etc. to add pleasant aroma. Our products are reputed for exotic aroma, for promoting calm and peaceful state of mind and are offered at the best available rates. We use the best available technology in the market to process our products. Looking for Ayurvedic Oils ?